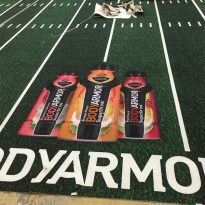 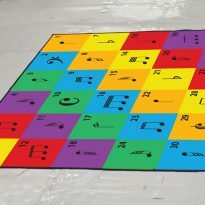 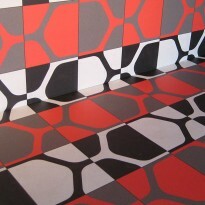 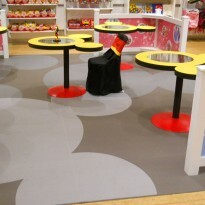 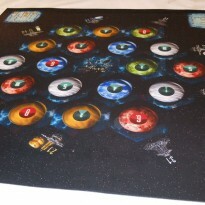 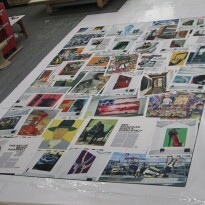 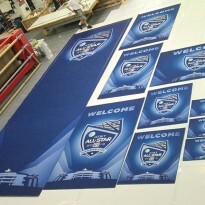 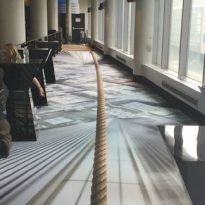 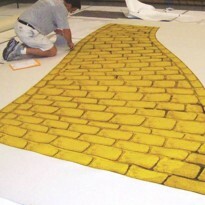 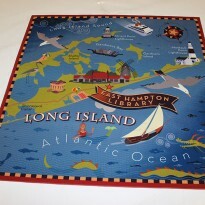 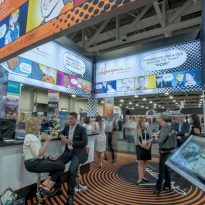 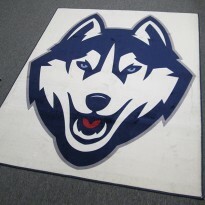 PrintOnCarpet manufactures inlay carpeting for nationwide exhibit companies, to be used during major tradeshows. 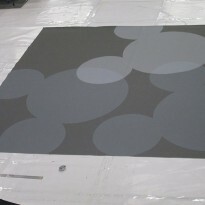 Cal Ostlund Exhibits selected our inlay carpeting for their pharmaceutical client’s display. 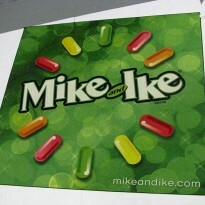 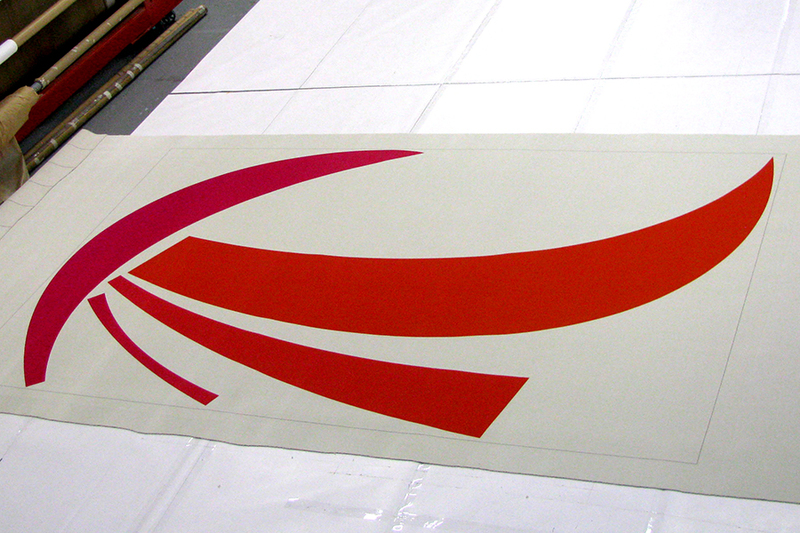 The vibrant red logo was created using our dye-sublimated print press that can create logos up to 8Ft x 10FT in size. 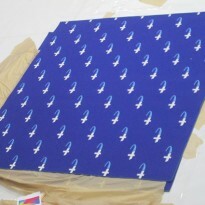 The logo was then cut and inlayed into the main piece. 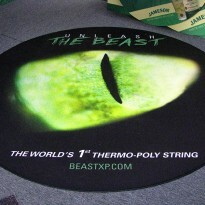 Since the image was printed using dye-sublimation inks, it can be washed and cleaned and even last under heavy trade show foot, and still retain its powerful, attention grabbing color.